Located on a quiet street in Southampton Village is this mint four-bedroom, three and one half-bath home with a first floor ensuite bedroom, powder room, open kitchen living plan with fireplace and surrounded by windows. There is a first floor den with a cozy fireplace that offers even more space to relax or additional guest space. The property with garage has mature landscaping that protects the free form heated gunite pool and gives the ultimate in privacy. 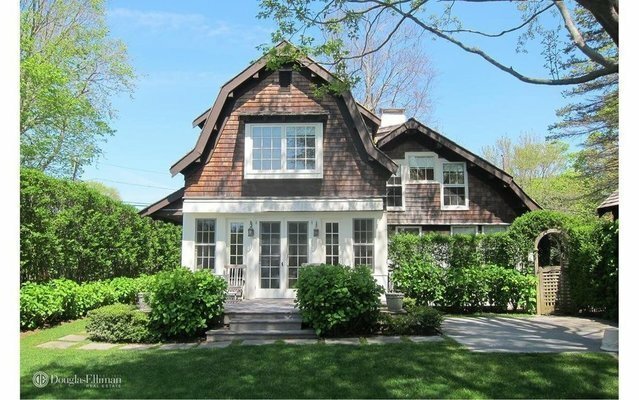 This home is loaded with charm and is perfect for the tenant who wants a vintage Southampton Village home in turn-key condition. History points to the builder of this home to be a Swiss carpenter named Julius F. Imer who came to the United States in 1869 and settled in Southampton in 1892. In 1909 he bought an old carpenter shop and moved it from its South Main Street location to John Street, where he had purchased property from the Albert J. Post estate. It is believed that he used the timber from the carpenter shop to build parts of this house. Imer's original residence is located next door.